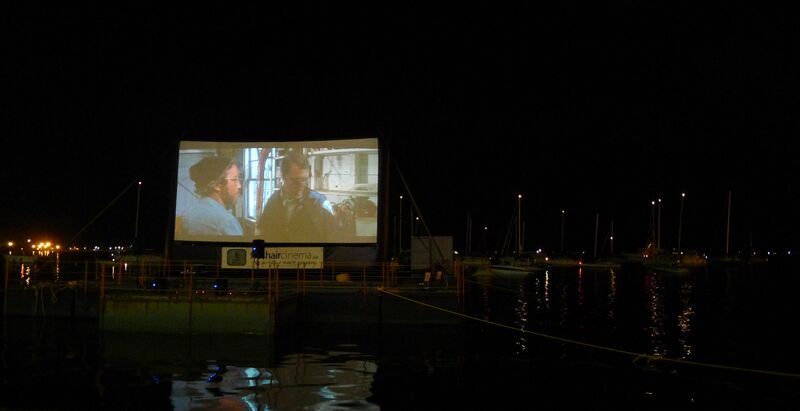 Yup, you read right: Sail-in Cinema. Though it’s too cold in December for Toronto cinephiles to attend an outdoor screening (I’m sneaking off to another Innis freebie, Shame, tonight), summer in this city is overflowing with them. 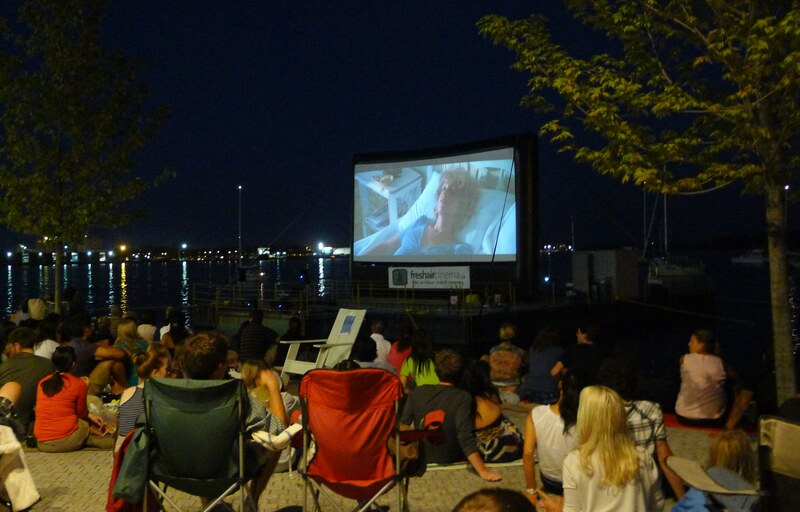 And this August, the Toronto Port Authority hosted three nights of free screenings in the harbour. And I mean IN the harbour. 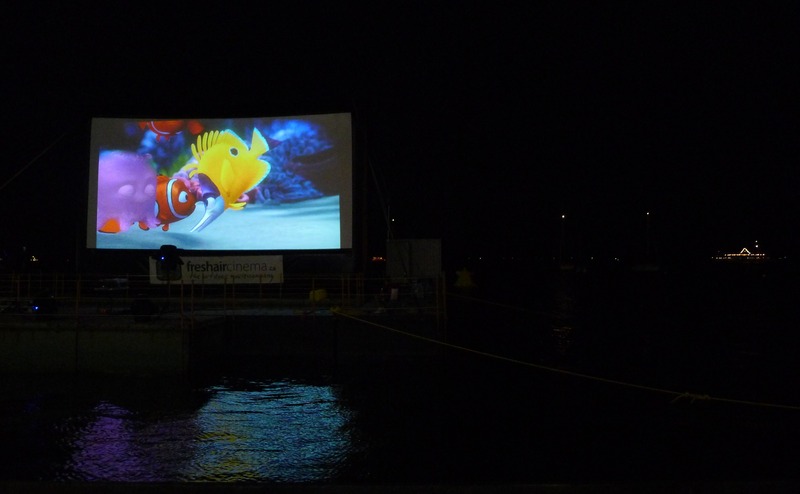 Behind Chorus Quay, they anchored a 40- by 30-foot two-sided screen to a barge in Lake Ontario, and projected the movies on both sides so boaters could, say it with me, sail into the cinema (a.k.a. the water in front of the screen) while the landlocked could watch from shore. Neat idea, you say? Sure was! I saw Jaws for the first time, and Finding Nemo, too. And as usual, I took a few pics…. Pretty thrilling watching Jaws for the first time front and centre, next to the water, which, to my relief, does NOT have sharks! For a little comic relief, kid-friendly Nemo and his pals rounded up the fest. see Behold, The Outdoor Cinema.